Since Central Florida enoys an abundance of lakes, kayaking is very popular. 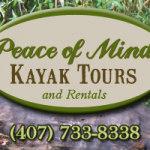 The Winter Park area is very popular for Central Florida Kayak Tours and a local company called Peace of Mind Kayak Tours awaits your reservation. The Winter Park Chain of Lakes Tour is quite popular and it leaves from the Rollin’s College area, just 3 miles from Thurston House. See Florida at its finest, traveling in 3 lakes by way of tropical canals that were originally built for logging. Other locations are available for Central Florida Kayak Tours, or you can just rent a kayak and go off on your own. The City of Maitland has 22 lakes, all natural, and just waiting for you to explore them. Coming up soon is a Maitland Rotary event Art Under the Stars. It is held 11/13-15 and will feature only 135 artists. Only the best have been chosen to be in this show. It is one of the only art festivals that starts on a Friday and goes into the night. Live entertainment will be playing softly in the background, and food & drink will be available to purchase. Set on the shores of beautiful Lake Lily, the show is only a few minutes walk from Thurston House, North Orlando’s finest bed & breakfast. Make a great getaway weekend plan, book your room, bring your walking shoes and enjoy Art Under the Stars in Maitland. Besides the show, enjoy some of the other wonderful attractions in this area such as the Audubon Birds of Prey Center, Maitland Art & History including their art center and historic house museum, the Morse Museum of American Art, the Scenic Boat Tour and so much more. 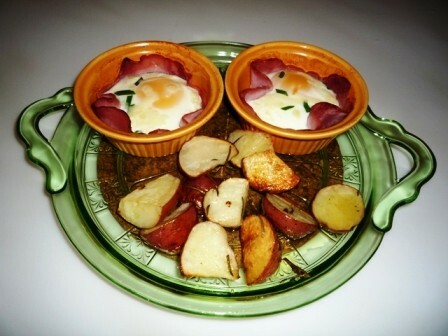 Ask the innkeeper for ideas of other things to do, and also where to eat. Many different types of restaurants are within a 10 minute drive, and a few are walkeable too. The Winter Park Playhouse is Central Florida’s only professional musical theatre. Located in Winter Park just north of downtown Orlando, the theater is only minutes from Thurston House Bed & Breakfast. Winter Park is reknowned for its Park Avenue area, with fabulous shopping and wonderful restaurants. This theater is just minutes away from there! From Off Broadway musicals such as “Dames at Sea”, to Musical Reviews like “I Left My Heart”, a salute to the music of Tony Bennett, there is sure to be something of interest for everyone at Theater in Winter Park! The lobby bar is home to its Spotlight Cabaret series. Next week Tim Evanicki will delight you with “Cheaper Than Therapy”. Arrive early as space in the lobby bar is limited. The theater is open year round so check out their upcoming shows a variety of shows. Buy your tickets, and book your room at Thurston House. What a great Central Florida getaway featuring Theater in Winter Park! Okay, you made it through most of the December holiday times and you really need to relax and restore your spirit. What better way then to spend a day at beautiful Leu Gardens in North Orlando?! Explore an amazing 50-acre botanical oasis minutes from downtown Orlando. Visit the many varied garden areas, each designed specifically to inspire visitors to appreciate and understand plants. The Leu House Museum located in the heart of the gardens reveals turn-of-the century living for the families who once called this home. The gardens and historical home were donated to the City of Orlando in 1961 by Mr. Harry P. Leu and his wife, Mary Jane. Right now the gardens are alive with hundreds of camellia blooms, many gorgeous roses, fantastic fruits & vegetables, and all sorts of other plants. The pathways all around and through the gardens offer peaceful places to sit, relax and reflect. So, book a room at Thurston House bed & breakfast, only a short drive away from the gardens, and start taking care of YOU! The Holidays Are Coming to Central Florida! They are almost upon us and what do you have planned? 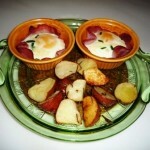 Come stay at Thurston House Bed & Breakfast in Maitland and enjoy the wonderful offerings in this area. From ice skating, to shopping, to Tiffany windows in the park, to fabulous dining, to museums decked out in finery, and holiday tree lightings…. We have it all in the Maitland-Winter Park area! Area shopping venues have already polished their finery and have been hanging greenery, lights and bulbs everywhere. What a wonderful gift for you!